The It’s Your Move® workshop offers an innovative personal and professional development program. 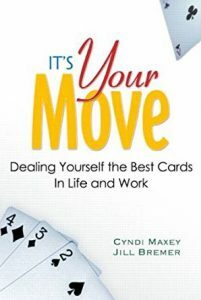 Based upon Jill Bremer’s co-authored book, It’s Your Move: Dealing Yourself the Best Cards in Life and Work® (Financial Times/Prentice Hall), this seminar teaches powerful strategies for taking charge of one’s life and career. “It provided thoughtful and interesting ideas of career and life planning.